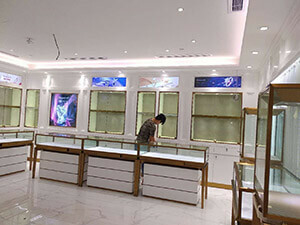 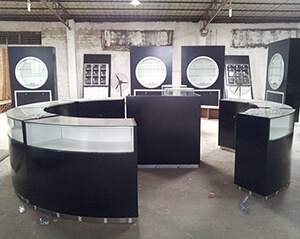 Modern Metal Jewelry Showcase,Glass Jewelry Display Cabinet,Jewelry Display Stands at www.jovafurniture.com. 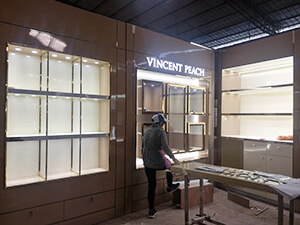 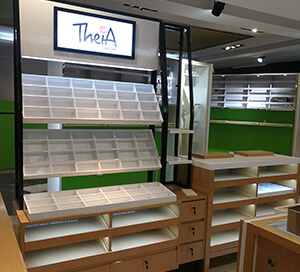 The cosmetic display stand are made for a cosmetic kiosk project. 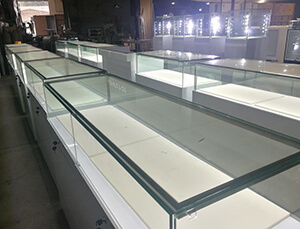 the counter stands are made by metal and marble. 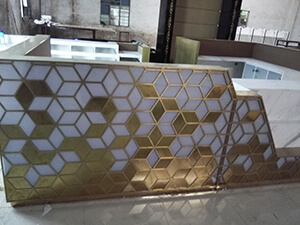 Glod metal stainless steel frame , mable table top and surface. 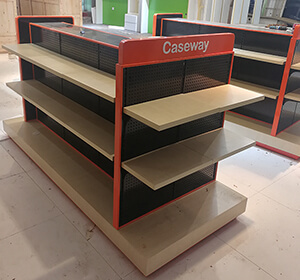 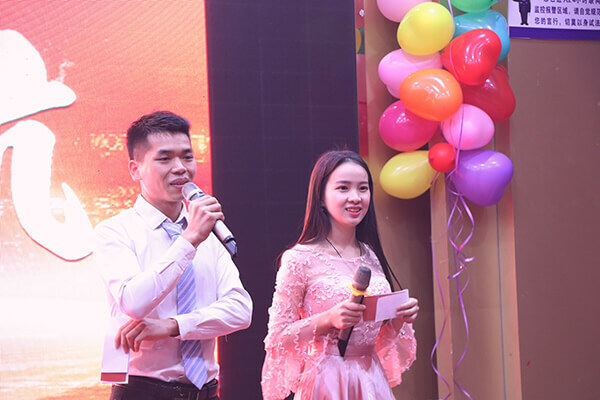 The counter stand was the client's design, our factory production.